According to notes and statistics prepared by Lydia, a British volunteer stationed in Burin, it is predicted that soldiers will enter the village with approximately 8 to 12 jeeps, which has been the range of jeeps the military bring to raid the village in a three week span. This comes following today’s settler attack and military incursion into the village, which resulted in the confirmed arrest of two 16-year-old boys. Lydia has been barred from entering the village at times when ISM has been notified of these attacks through the use of a makeshift checkpoint, and she notes that the same did happen today at the entrance of Burin. Typically military remains present for around 4 hours, which has been a consistent amount of time stayed during each of these invasions. The time of an Israeli attack cannot be predicted since they have been so random, adding to the psychological games that the Israeli military enjoys playing to keep the villagers vulnerable. The residents of Burin know it is always coming, but when is the mystery. The military uses tear gas and sound bombs frequently, using these during both attacks and when the military uses Burin as a venue for military training. 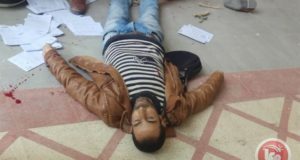 Ghassan Najjar, awoken by these activities notes that soldiers have stated, “Don’t worry, we are only training, go back to sleep.” They are on roofs, shooting gas at no one, and throwing sound bombs near peoples houses and even raiding houses during these drills. 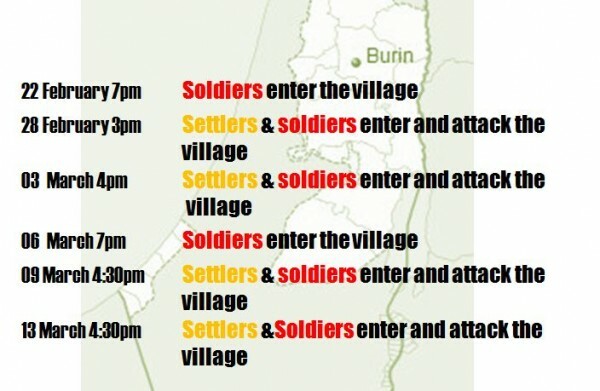 When the settlers and soldiers are together and enter Burin, the illegal settlers remain in the village fields and hills, never entering the heart of the village. Yet the Israeli military will advance to protect these settlers, with the weapons they train with and even live ammunition to disperse peaceful protesters. The settlers have all come from the same direction, from the stolen land now referred to as a settlement named Bracha. They have come in numbers between 10 and 25 and they come armed, weapons ranging from handguns to M-16s. These three attacks have been focused on the Sofan household. They are not new to the suffering, having had their house set on fire twice. The second arson attack resulted in the death of Atallah Sofan, husband of Hanan Sofan who currently lives in their home. Her husband died after he had a heart attack due to the sight of his home in flames. They have had their chickens, sheep, horse and donkey killed and their house stoned and paint bombed. 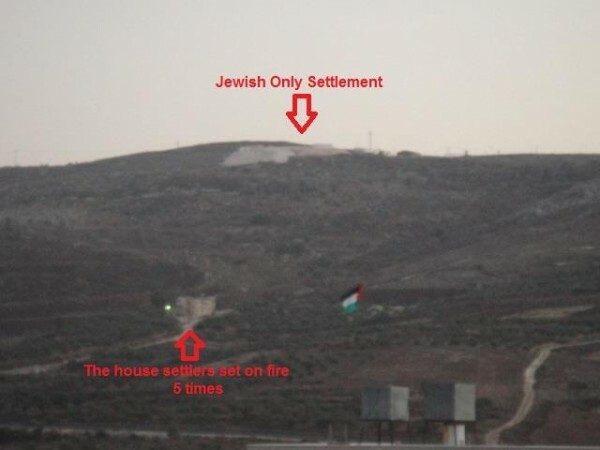 “Our house is the only thing stopping the settlers from taking this area,” said Sofan. This is what happened on the latest occasions; bottles and stones were thrown at their home and their sheep were also under attack. As usual, the youth of Burin came down to protect their land by throwing stones. 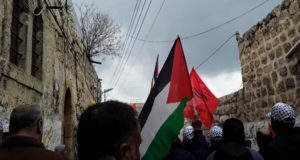 On March 9th this was soon met by Israeli soldiers who protected the settlers, contrary to what they claimed about wanting to provide security for the Palestinian residents. There were clashes between all three parties, which is typical for Burin, each time lasting between 30 to 90 minutes. 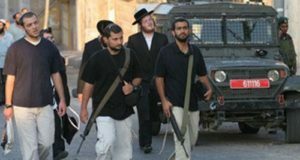 While patterns in the behavior of illegal and violent settlers are being mapped, and the relationship between the occupying forces and these rogue bands of settler gangs becomes clearer, the pattern itself does not change the inability of Palestinians to prepare for Israeli violence.